Knowing basic college vocabulary can be key to understanding your options. If you’re finding yourself overwhelmed by all the terminology, you’re in the right place! We’ve defined some of the most common college terms to help you navigate through the confusion. The common term people use when talking about getting a degree past high school. Smaller institutions that typically offer undergraduate degrees only (associate, two-year degrees, and bachelor’s degrees). When someone talks about a college within a university, they’re talking about a collection of degrees that are grouped together to form a “college,” or a subset, of a university. Example: Liz went to college to find herself, but unfortunately, Seymore the Snowman found her first. 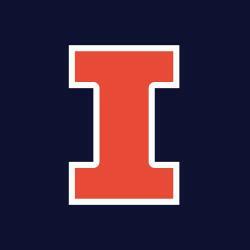 Larger institutions that typically offer both undergraduate degrees and graduate programs. Universities are made up of colleges that categorize the different programs and majors offered at the university. Example: Curiously, to be accepted into this university, you must have a working knowledge of acorn trajectories and tartar sauce. The collection of land owned by the college or university where class buildings and school resources are. Example: What does a kid have to do to find a decent place to bowl on this campus? The specific area of study that a student will focus their college career on, following a program planned out by the college. 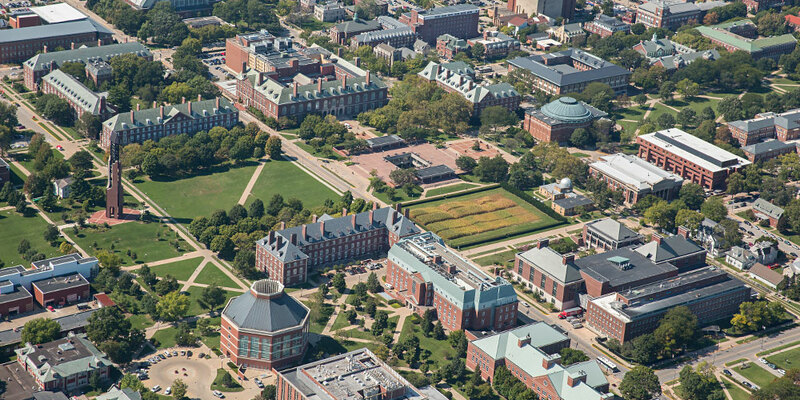 Many schools (including Illinois) admit freshmen who haven’t declared a major yet, and most students will change their major at least once in college. Example: AJ needs to decide what his major will be, and Tia needs to stop talking to herself. A current college student who has not yet graduated, or an adjective describing such an education track. Example: “Undergrad? More like underwear, am I right? !” It was Tony’s first time doing stand-up comedy. Money given to or earned by eligible students to make their college tuition less expensive. Students can get financial aid by applying for scholarships, grants, or student loans, or from certain kinds of student employment. Financial aid can be awarded based on financial need, academic merit, or other types of qualifications. Example: It was after midnight when Liz realized with joyous astonishment that “financial aid” spelled “dial a ic nan if” backwards. Now she only needed to find out what that meant. Example: Between Marco, Reilly, and the ghost, the dorm room was getting pretty crowded. A term of study that lasts either from fall to winter or from winter to spring. Each academic year includes two semesters. If a college uses a semester system, most classes will be one semester long. Example: The semester isn’t even halfway over, but already Marco and Reilly have used up all their paper towels. There’s no other way to appease the ghost. A large green lawn on campus where students can play frisbee, study, or just hang out. Example: “Really? Everytime I cross the quad your frisbee just happens to hit my head?” Professor Smith asked Liz. You may think you already know what squirrels are, but you really don’t until you visit Illinois. Example: Lisa was on her way to work when Harold, the baddest squirrel on campus, spotted her and began aiming his acorn. A cumulative GPA is the average of all of your course grades from every semester you’ve taken so far. A term GPA is the average of your grades from one specific semester. Example: You might forget about your GPA now, but sometime in your junior year, you will remember it again. Credit hours generally indicate how much work a student can expect in a class. Typically, a 3-credit-hour class might meet for one hour three times a week. 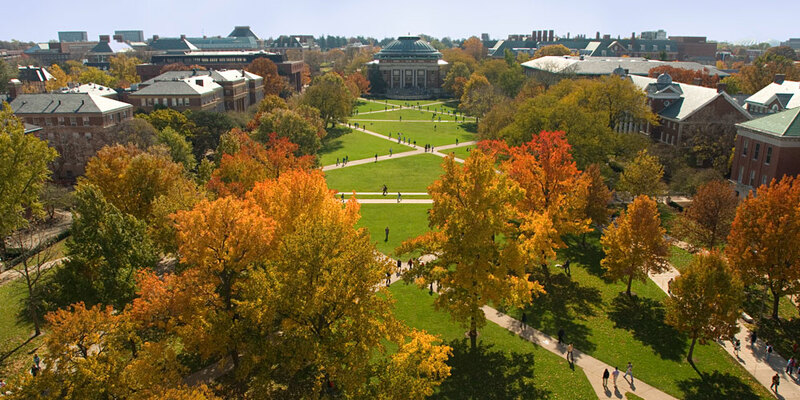 Example: Students need at least 120 credit hours to graduate at the University of Illinois. Liz’s idea to take them all in one semester proved unsuccessful. The act of earning credit hours in another country by taking classes or participating in specific, pre-approved programs. Example: To Rachel’s dismay, that entire semester spent “studying abroad” in the donut shop won’t count toward her graduation requirements. The instructor of a college course who has achieved a doctoral degree or some other postgraduate degree. Some professors prefer to be addressed as “Professor,” while others may prefer “Doctor” or another title, but they’ll tell you what to call them on the first day of class. It’s likely that not all of your college instructors will be professors. Example: “The more you ‘accidentally’ hit me with that frisbee, the more I’ll lower your grade!” Professor Smith shouted. “The more you lower my grade, the more I’ll ‘accidentally’ hit you!” Liz shouted back. A type of class structure where an instructor presents course material to the class while the students take notes. Example: “Hey, if I skip lecture, can I have a copy of your notes?” Rachel asked. 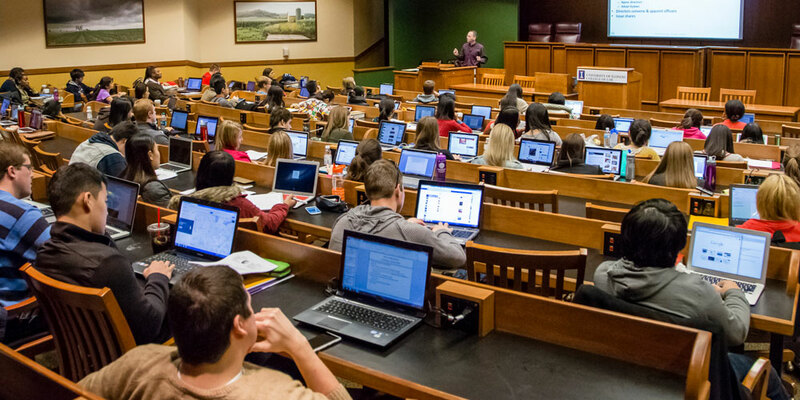 Some classes that have lectures are paired with more interactive sessions called discussion sections, where students work together on group assignments or talk about the material covered in lecture. Discussion sections like these are often led by a teaching assistant, or a TA. Example: “Well yes, I know we reviewed that problem in our discussion section, but I told you, I wasn’t there—that was the day of the flea circus!” Was no one sympathetic? Academically advanced students (usually students in graduate school) who are hired by the university to teach classes with a professor or lead discussion sessions in addition to taking their own studies. Example: TA also stands for Tricky Anchovy, but that is not the kind of TA we’re defining. An RA is a student living in your residence hall who is hired by the university to be a resource for everyone in the hall. They can be a source for emotional support, a mediator for hall conflicts, or simply a friend. Example: Richard’s easy confidence and impressive charisma, while at times overbearing, quickly made him a popular RA. A description of the course objectives, requirements, and grade policies for a specific class. The instructor will usually give students a syllabus at the beginning of the course. Example: According to his syllabus, 85% of Reilly’s final grade would depend on how much he looked like Spider-Man. The first week of school is colloquially called syllabus week by students, because the first day of many classes involves going over the course expectations in the syllabus (which often means not having a lot of homework!). Example: It’s halfway through syllabus week, and nobody in Richard’s building seems to have noticed that he is a squirrel. Subjects that the university requires all students to take to help them obtain a well-rounded education. 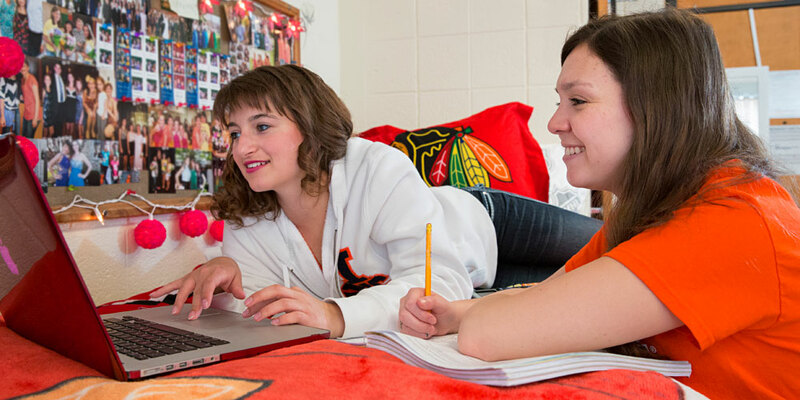 Students can often choose from a wide variety of classes to fulfill a general requirement. Electives are classes that aren’t specifically required for a student’s major and aren’t gen eds. Students take electives to fill their program’s credit hour requirements or simply to expand their education. Example: Seeing how many great electives Illinois offers was the greatest discovery of Liz’s life, greater even than finding out she was a robot. A cafeteria where students can grab breakfast, lunch, or dinner. 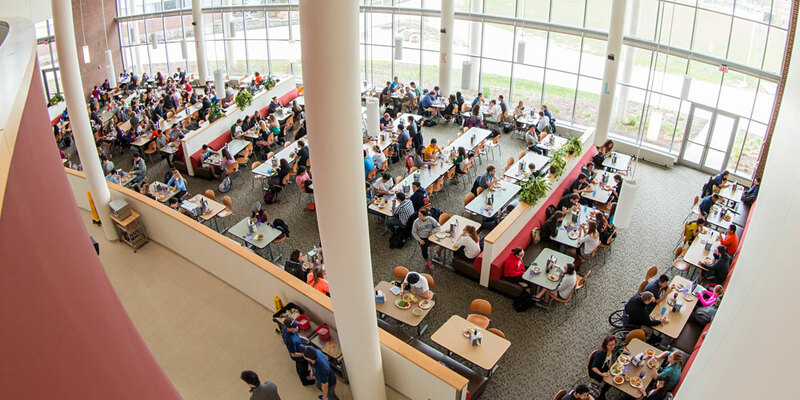 Typically, students who have already purchased meal plans get into the dining hall by swiping their college ID cards, while students who haven’t purchased meal plans can pay at the door. Example: All I see in the dining hall is soup, soup, and more soup! Someone who will help you plan what classes you’re going to take, rearrange your class schedule, and offer career advice. Often the day in between the last day of classes and the first day of finals when students study and then study some more. Example: By reading day, it’s everyone for themselves. Standardized Tests: How to Triumph!